South Korean President Moon Jae-in shook hands with Kim Yo Jong, the sister of North Korean leader Kim Jong Un, as geopolitics and sporting endeavor merged at the opening of the 2018 Winter Olympics in Pyeongchang. Minutes into a spectacular opening ceremony, Moon greeted a number of world leaders including Kim Yo Jong and North Korea’s 90-year-old ceremonial head of state Kim Yong Nam, the head of the North’s Olympic delegation. Kim Yo Jong is the first member of the North’s ruling dynasty to visit the south since the end of the Korean War in 1953. Even months ago, such an encounter would have been unthinkable. 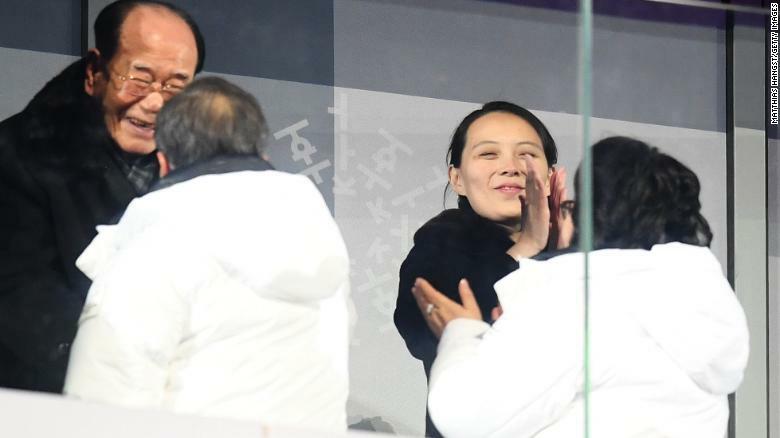 Kim Yo-Jong applauds during the Opening Ceremony of the PyeongChang 2018 Winter Olympic Games. 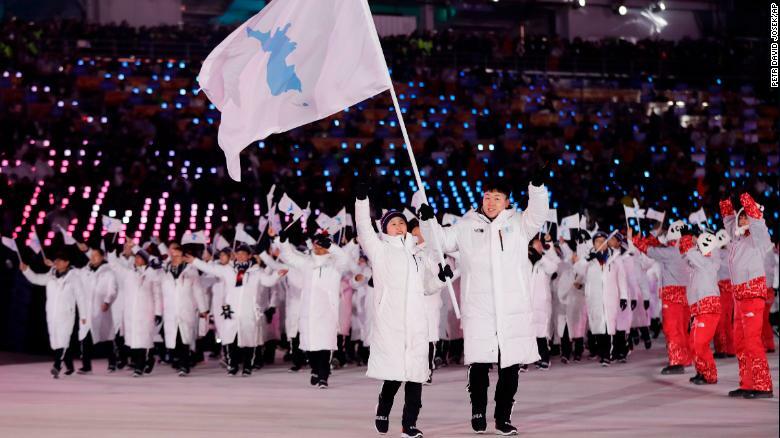 The two figures from opposite sides of a divided Korea watched as athletes from their respective nations marched together under a unified flag. Mike Pence, the US Vice President, who has been vocal in his criticism of North Korea in the runup to the Games, sat meters away. 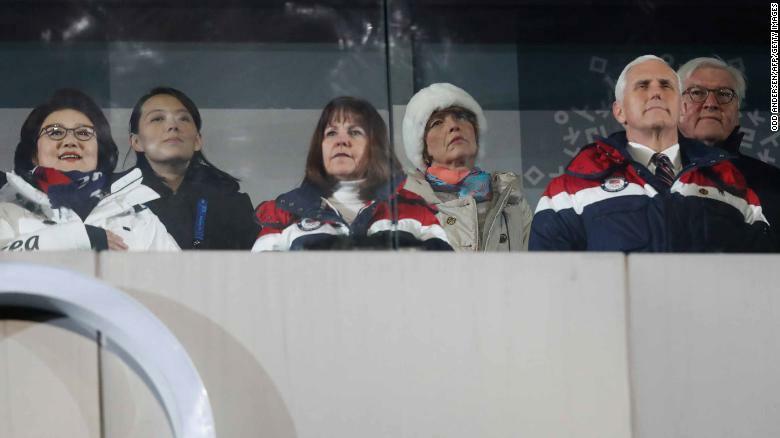 US Vice President Mike Pence (front R), his wife Karen (front C), North Korea’s leader Kim Jong Un’s sister Kim Yo Jong (2nd L) and Kim Jung-Sook (L), the wife of South Korea’s President Moon Jae-in, attend the opening ceremony. 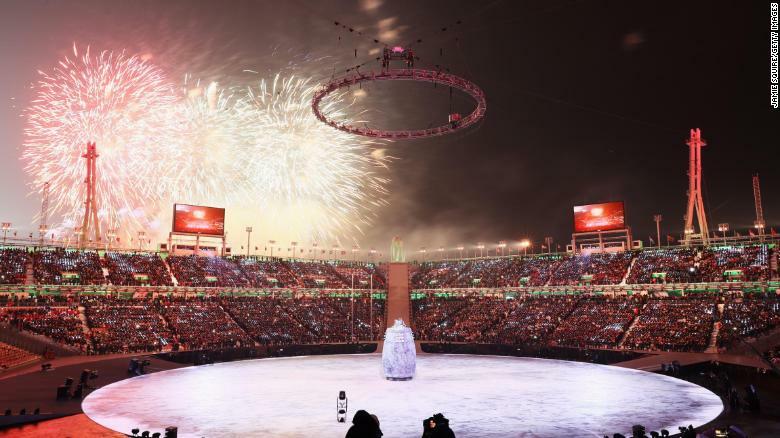 The ceremony drew on themes of peace, harmony and unity and involved a starring role for the Games’ mascot Soohrang, the white tiger, which has long been considered a guardian in Korean history and culture. 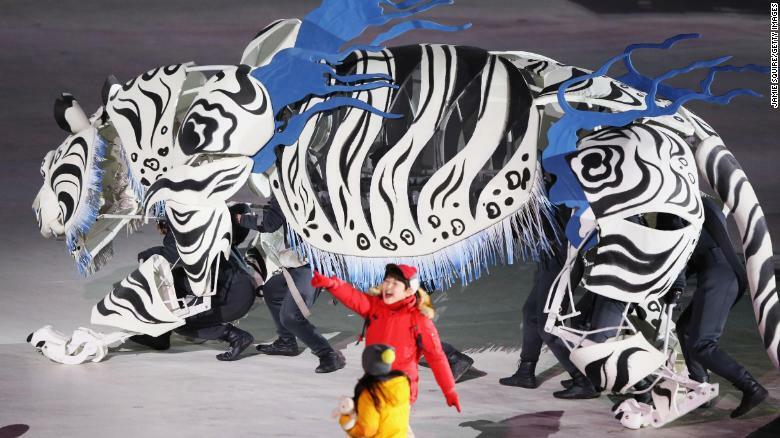 Soohrang, the white tiger, played a starring role in the opening ceremony. The presence of Kim, who was promoted to the country’s Politburo, the senior body of North Korea’s communist party, as an alternate member last year, represents a hugely significant move in the thawing of relations between the neighbors. 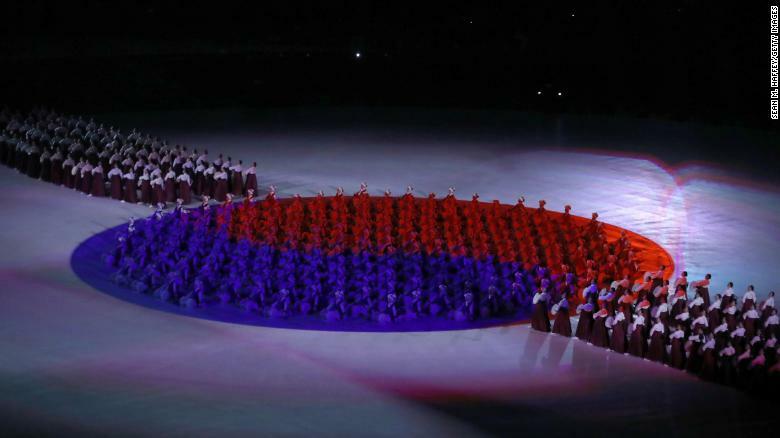 The South Korean flag “Taegeukgi” is seen during the Opening Ceremony of the PyeongChang. While the sources say “nothing is final,” a visit by Moon to North Korea would be the first time a South Korean President has stepped foot in the country since 2007. Fireworks explode during the Opening Ceremony of the PyeongChang 2018. That invitation could come when Moon and Kim will meet for lunch at the Blue House on Saturday, after the meeting was confirmed by a South Korean presidential spokesperson. A potential date could be August 15, the day Korea was liberated from Japanese occupation in 1945, a holiday marked by both Koreas. North Korea’s Hwang Chung Gum and South Korea’s Won Yun-jong arrive during the opening ceremony. “All the athletes around me, all the spectators here in the stadium, and all Olympic fans watching around the world… we are all touched by this wonderful gesture,” Bach said. “We all join and support you in your message of peace”.